Lonza will provide its point-of-care (POC) Cocoon cell therapy platform to the Sheba Medical Center in Israel to provide automated and closed CAR-T manufacturing. 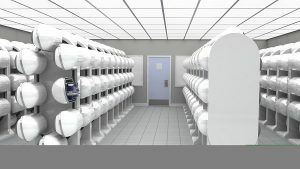 The collaboration between Sheba and Swiss contract development and manufacturing organization (CDMO) Lonza aims to confirm the benefits of using the Cocoon system to make autologous cell therapies in a POC environment. “The partnership with Sheba will test the Cocoon in the clinical setting,” Eytan Abraham, head of Personalized Medicine at Lonza Pharma Biotech, told Bioprocess Insider. Octane Biotech developed the Cocoon system. Lonza has worked with the firm since 2015 to help develop the platform for autologous cell therapy manufacturing, and last October acquired an 80% stake in the firm. The CDMO now has a controlling stake in what it described at the time as a “game changer” in the autologous cell therapy space. The platform is a single system that can be used for a variety of different autologous cell therapy protocols, including CAR-T, but also tumor-infiltrating lymphocytes (TILs) and Mesenchymal stem cells (MSCs), Abraham said. The system has been integrated into Lonza’s cell and gene therapy offering and brought into the firm’s Houston site. According to Abraham, the platform offers advantages including increased number of unit operations in one system, faster process set-up due to its plug and play cassette, reduced clean room space required and reduced staff for handling. 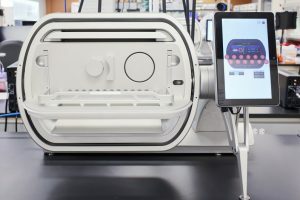 Much of the talk about reducing cost of autologous cell therapies has centered around the need for fully-closed and automated systems. While no system is yet to be fully closed or automated, the Cocoon system moves towards this ideal, Abraham said.